Jay King opened Desert Rose Trading in the early 80’s. Jay was in College he made extra money by making beads for a jewelry supply company. When they lost their only customer, Jay started selling the beads to other jewelry companies, calling on them directly. When visiting the different jewelry companies Jay had a thought to start buying their jewelry and selling it to shops around the country. Soon not only was he buying jewelry, but he was also helping to design it. Jay would travel the country visiting individual stores and attending trade shows selling his creations. Then in 1995 Jay called on Home Shopping Network; HSN liked Jay’s products so much they asked him to be an on air personality. When he was first on air he sold all Native American jewelry. As time went on he wanted to create more than just Native American jewelry. 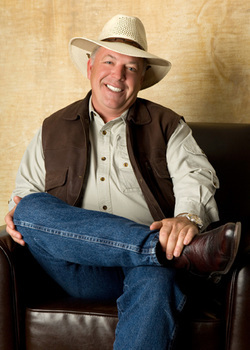 Jay had a thought to change the name of his show on HSN from Santa Fe Silver to Mine Finds by Jay King. By changing the name he could add the stories of the adventures he went on traveling the world seeking and finding stones from mines all over the world that he could incorporate in his original sterling silver designs. Today Mine Finds by Jay King is on 8 times a year on HSN. Mine Finds can be purchased from HSN both when Jay is on air and on their website. Mine Finds are also available on Amazon.com, Desert Rose Direct.com, and The Shopping Channel of Canada.